Home Unlabelled FOOD THAT MAKES YOU LOSE WEIGHT – WHILE SLEEPING! 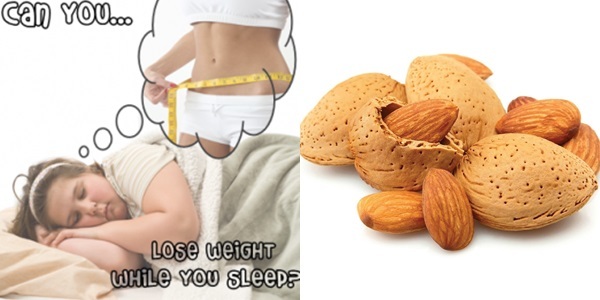 FOOD THAT MAKES YOU LOSE WEIGHT – WHILE SLEEPING! Is that possible? You can forget about the rule of “no eating after 6 pm”, because it is scientifically proven that there are some great foods that can “remove” kilograms while you are sleeping. What is the secret? Some foods, rich in protein will provide your body the necessary nutrients without increasing blood sugar levels and the body will itself continue to burn stored calories. Best evening snack for those who crave for something sweet, without fear of additional fat. Berries contain fibers that are essential in weight loss and digestion and satiety lasts longer. Raspberries, blackberries and blueberries have the highest fiber content of all the berries. Calcium is considered one of the best minerals that fight against fat, yogurt is an excellent source of calcium. For the evening meal choose yogurt without sugar and fat. If you do not overdo and do not eat a lot of almonds, they can be put on the list of allowed foods in the late afternoon. Almonds contain protein, fiber and omega-3 fatty acids. A handful of almonds is sufficient to satisfy cravings for sweets. The combination of fiber and protein will stimulate the metabolism, in order to efficiently burn the fat and calories. It contains an amino acid called leucine, which plays an important role in protecting the muscle from weight loss, forcing the body to seek energy stored as fat. Moreover, turkey is rich in protein that will keep you from starving when you wake up. Avocados are a good source of fiber and therefore can be found on the list of precious evening snacks. It contains, however, and monounsaturated fats that should be consumed in moderation, so that avocado should be just a snack occasionally.